You know you’re in Wrightsville novel when Ellery immediately starts thinking about Miss Sallie’s infamous Pineapple Marshmallow Nut Mousse. The mystery which develops is hokey as can be, and it is never really explained as to why the murderer left weird clues (except for a quick attempt at blaming PTSD), but the characters are in Wrightsville, and the cousins seemed to enjoy writing about that small town. The book also rests easily with the previous effort, Cat of Many Tails, in that both have upped the number of corpses left along the way. The body count here mounts to something like seven. In the end, the tale is as delicious, and as nutritious as that Pineapple Marshmallow Nut Mousse. The real point of the story, though, isn’t the criminal activity. More, it’s the story of one of the victims, an alcoholic ex-school-teacher living deep in the woods of Wrightsville, and the daughter he has been raising in that wild environment. An early example, if you will, of homeschooling. 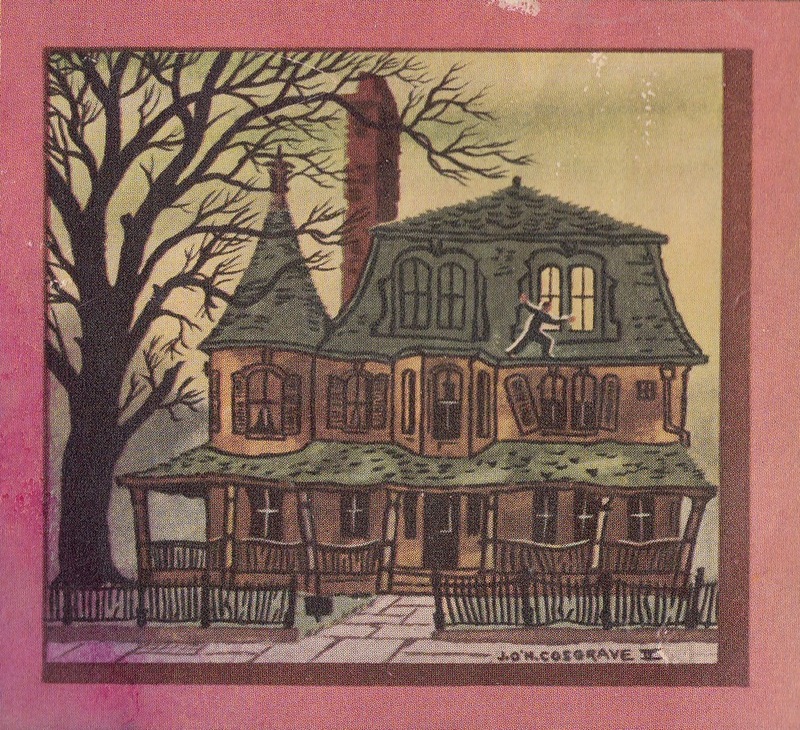 Cover detail by John O’Hara Cosgrave II. Like Cat of Many Tails, Double, Double is an exploration of various segments of society. The victims are “Richman, poor man, beggar man, thief, doctor, lawyer, merchant, chief.” a wide swath of society, and all are treated as individuals worthy of respect. Puritanical judgements are not viewed with sympathy, hence Rima’s “wild” ways, and the description of a saloon as a normal, happy, place. These books were written, of course, during the beginning years of the Red Scare, and are,I believe, a veiled response to the rampant fears and suspicions of anyone who did fit a specific mold. If memory serves, this would get even less veiled in the upcoming novels. There are a number of things about this book. First,it appears to take place after or before next year’s Origin of Evil. That book occurs according to the first chapter right after Cat of Many Tails. Secondly part of the solution is hinted at a good way before the conclusion. They try to throw you off near the end but you just know one person has to be involved somehow. Still it was somewhat contrived as motivation and came off as unconvincing. Did you think that the girls father would turn it since his body was never found? That was a rare loose end for the cousins. It is a loose end, but the father was probable devoured by the landscape and nature he loved so much! The last point I want to mention separately. Julian Symons started the theory that the Ellery from Roman Hat to Halfway House is the older brother of the Ellery of the latter books. He did not use the book as evidence for his theory but it also supported it. Remember the reporter who is supposed by from Harvard? Ellery never mentions once in the book that he went to Harvard despite in those earlier novels telling everybody he went there. The cousins most likely forgot Ellery went to Harvard…. True. That is probably why, but it supports Symons’ retcon. I think that we place too much intention on the writers of old. We read their works as fans, and remember more than the writers did as they turned out novel after novel after script. “Ellery Queen” the character had little consistency, he changed as tastes and the market dictated. Yes,that is true. Perhaps part of the problem is they changed him more than say Poriot or Holmes or Philip Marlowe. The stories might be more read today if they developed him with more consistency. Lord Peter Whimsy and Campaign are supposed to have changed gradually but I have read little of them. The main change, and a positive one at that, in the Lord Peter Wimsey books was the introduction of the Harriet Vane character, which added new life and depth to the novels. Here is another odd continuity problem. The next book,Origin of Evil says in the first chapter that it occurs after Cat. But this was published first and does not mention Cat. Of course you much farther head. And you read them systematically. What do you think? I don’t think the cousins did much looking back to make sure things matched with what they had written before. Facts in one book could change as needed in the next. 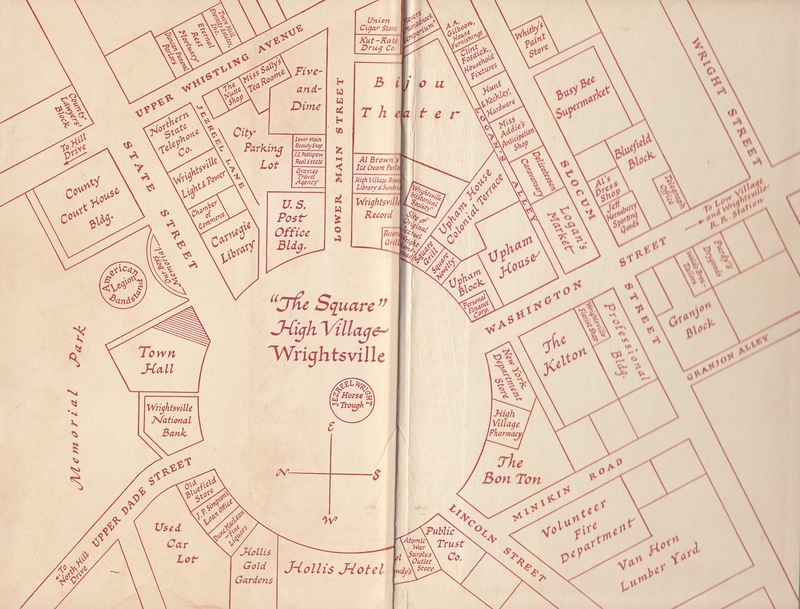 For instance, in Calamity Town, someone mentions that there had never been a murder in Wrightsville, yet in The Murderer is a Fox, there had been a very public murder just about ten years before! Not too mention the murder in Calamity Town. I am still reading that one. I have to disagree with you about that. One thing I like about Double, Double is that the explanation as to why the murders are committed according to the nursery rhyme is plausible–or, at least as plausible as these things get in mystery novels. I won’t reveal the reason here as that would be a spoiler. I think — it’s been a while since I read this one — but the murderer got into trouble; once it got started, he/she had to continue with the nursery rhyme scheme in order to accomplish his/her objective.